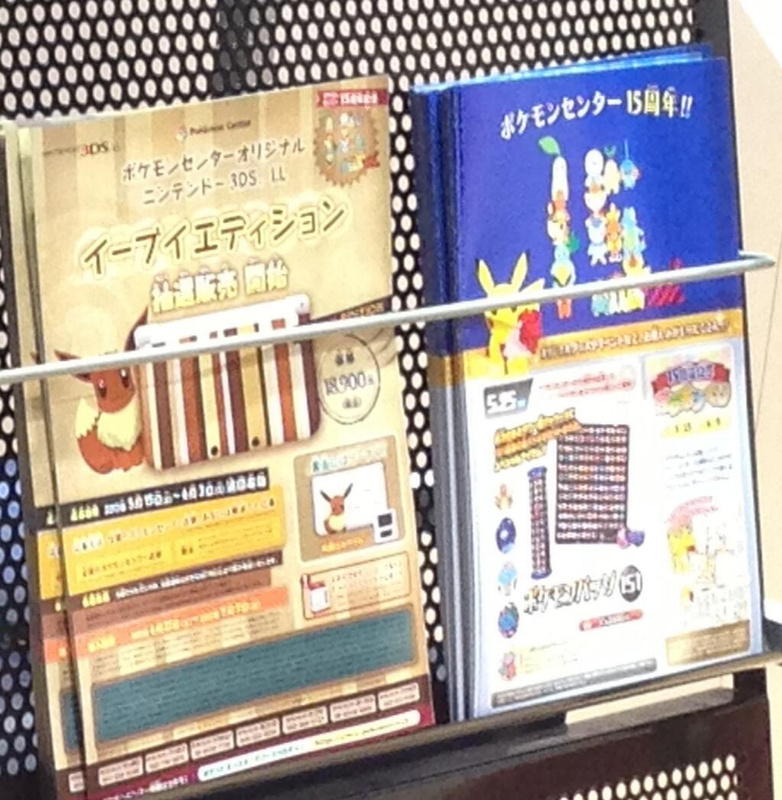 Last month we reported that posters hinted that Eevee would be featured in some way on a new 3DS XL design, but details were scarce on its appearance. And now we know it's official - an Eevee-themed 3DS XL is indeed making its way to Japan judging by a leaflet found in Pokémon Center stores, posted by Twitter user MarvicaFii. It'll be a very limited release; the lottery, celebrating the 15th anniversary of the stores across the country, begins tomorrow, and if you're lucky, you'll be in with the chance to purchase the system. Take a close look at the picture provided, and let us know your thoughts. The Eevee 3DS is so awesome, that you win by buying it. That's awesome. Haha. Geez... It's not really a bad thing. I mean, a 3DS XL is a 3DS XL no matter what color it is. I think it's pretty ugly.. 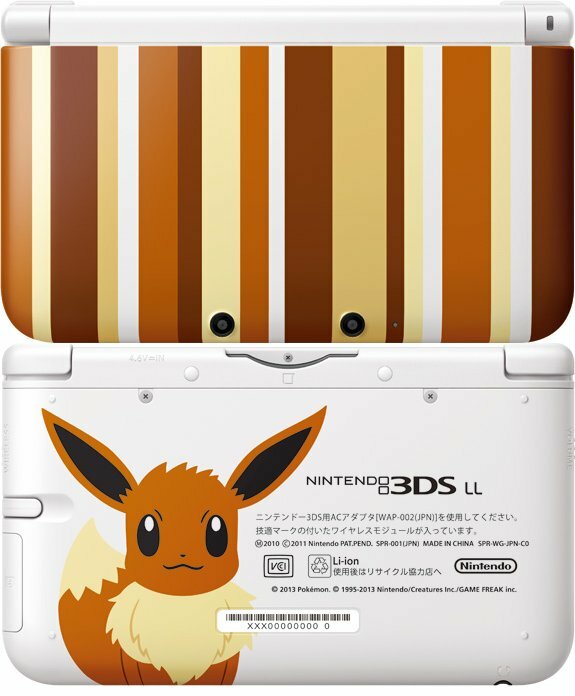 I don't see why they wouldn't take Eevee and it's evolutions and just paste it on there Luigi 3DS XL style. That would excite me. Wow, that's so ugly! Most of these limited edition ones look awful recently. What happened to the great designs like the golden Zelda GBA SP, the red Mario SP and that lovely Zelda 3DS? Even though I don't like the design I do have a soft spot for eevee so I want it. That is pretty ugly. With all the bright colors they have already, who wants a brown 3DS? How disappointing. It looks like a traditional sweater pattern. I'll just stick with my kawaii Pikachu 3DS XL thankyouverymuch. I'd seriously consider blowing the money on that sweet Charizard 3DS XL if it was ever released outside of Japan. Come on guys, it's not that bad. If you all don't want it I'll take it. Eh, not really my style. Kind of reminds me of some 1970's wallpaper. If Nintendo brings the 30th Anniversary Luigi 3DSXL to NA I'll probably pick that up though. I'd buy this! Bring it to the U.S.! That's the single most beautiful 3DS I have ever seen in my life! Sad to see the general reaction to it is the opposite of mine though. I find the design rather classy and elegant. But I"m a fan of that kind of modern/minimalism art style. that picture on the back is legitimately adorable not sure about the top stripes though. I like it! It looks like it's made of wood. I would love to have a chance to buy it. I actually really like that design, too bad it has a snowball's chance of making it out of Japan since its a limited release. Can't wait to evolve this 3DS LL! It kinda looks like a pants I wore at a 60's party.